Mark Damon, Scilla Gabel, Alberto Lupo. 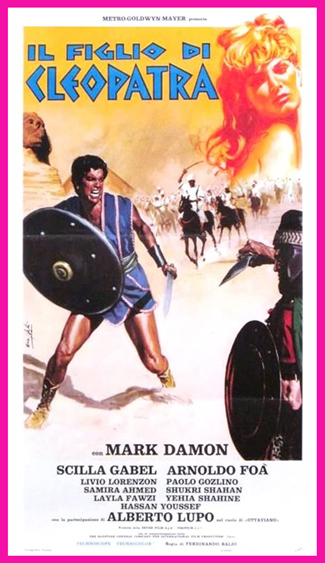 A top sword and sandal movie! Damon is the son of Cleopatra, who escaped death from Octavian soldiers. As a man, he heads a desert tribe and is called "El Kabir." He leads Egyptians in revolt against their Roman oppressors. Color, 16mm.